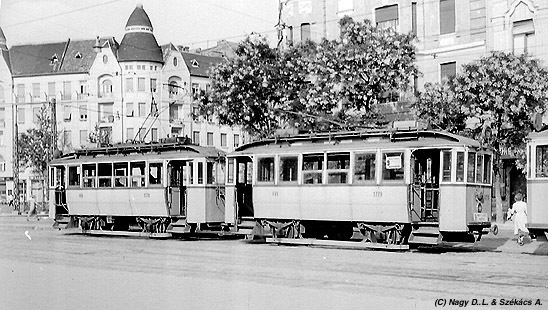 These cars were made between 1907 & 1909; altogether 130 cars forthe Budapest Street Railway Company (BKVT) number 551-600 and 611-690.Between 1950 and 1956 44 twin cars were formed, the rest remained solo.The solo cars were in use until 1961, the twins until 1977. 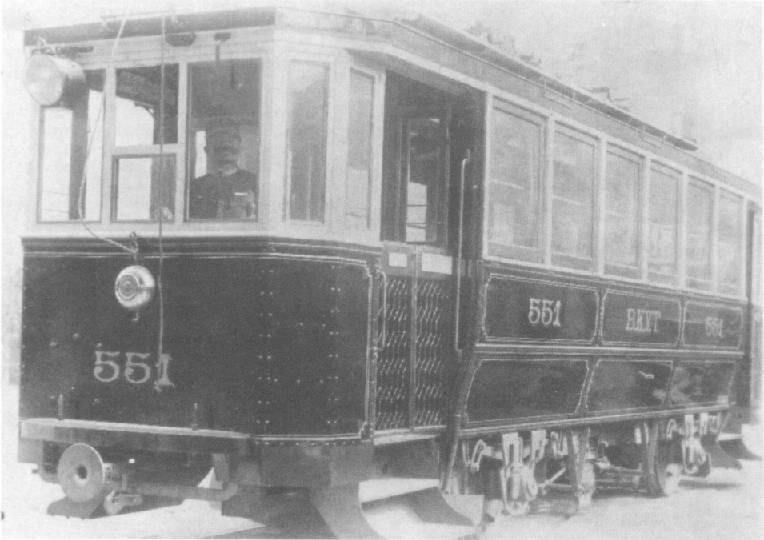 The first S type car (# 551) can be seen on this picture in 1907. Notice thepulled out plough between the wheels. 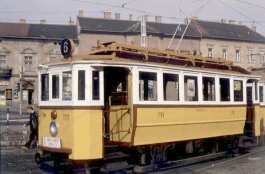 In the '30s the car # 1909 on the line 10 near its terminus at Városliget. 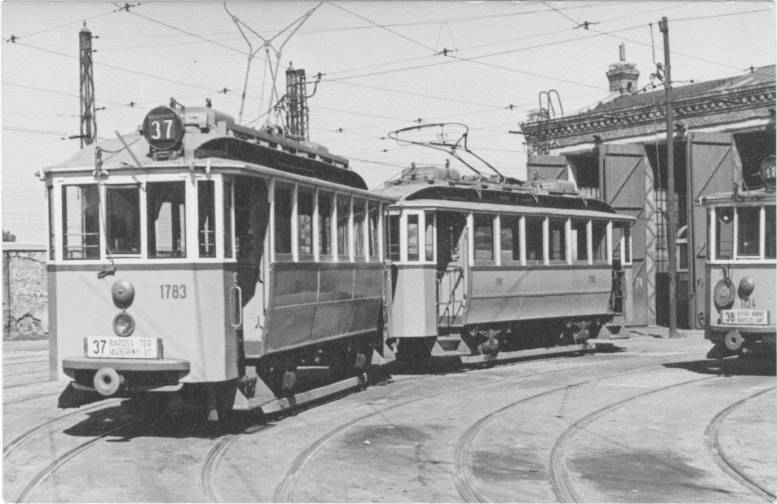 The unificated company BSzKRt renumbered these cars to 1800-1929,but no real approvement was done on them. On the line 7 pulling a middle-entrance trailer from the series5600 (in the '30s) at the loop near Nyugati pályaudvar (Western RailwaySt.) 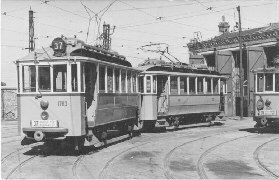 terminus. 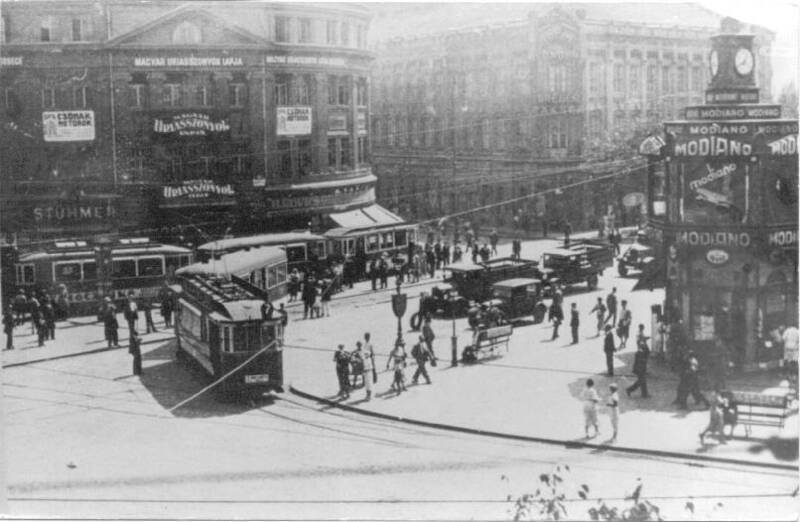 After World War II. 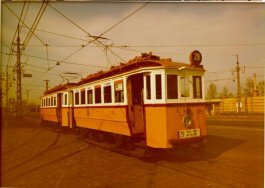 in Hungária depot. Notice a wooden board, wichis replacing glass. 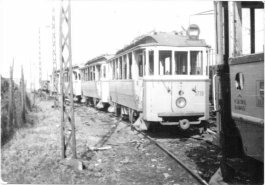 Three cars were so badly damaged during the war, that they scrappedthem; a fourth one was burned in the depot Kispest in 1947. At Keleti pu. 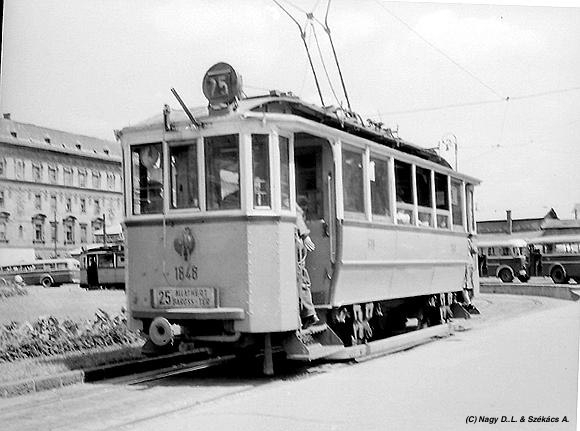 (Eastern Railway St.) on line 25 (in 1957). 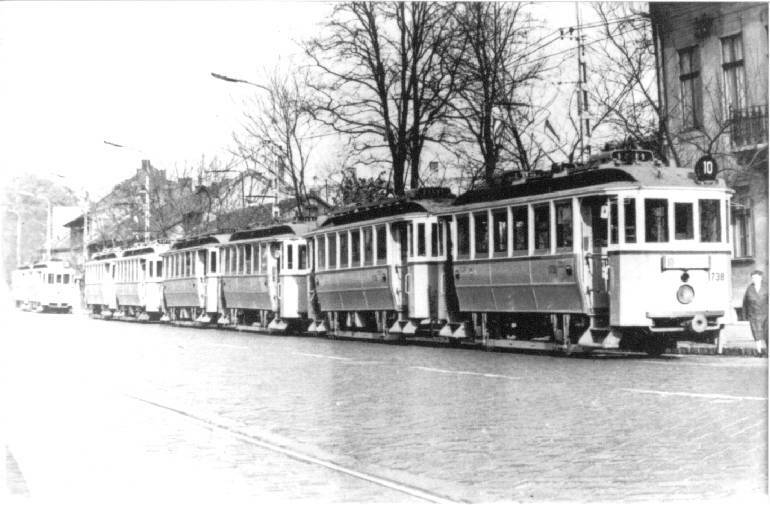 These cars had their original motors, wich weren't suitable topull trailers with higher speed of the '50s; that's why the high pressure-airpipe for braking in the front was removed. In solo they could reach only30-35 km/h. 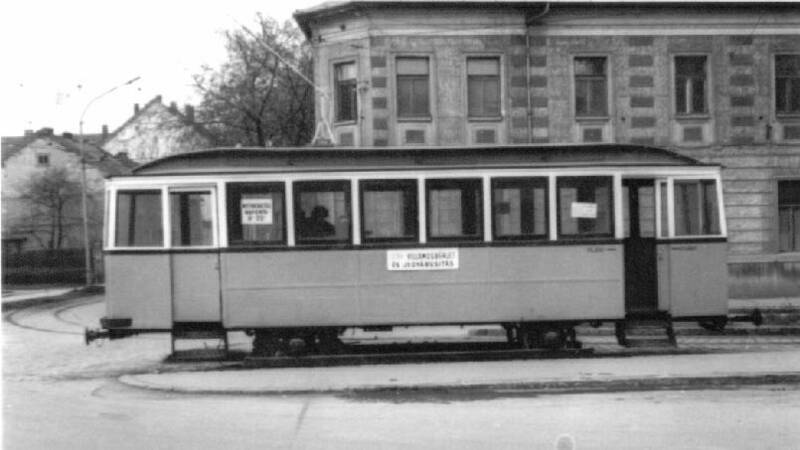 The BSzKRt #1857 in Szeged (SzKV 509), as a ticket office at the railway station.In Szeged these cars were rebuilt - recieved telescopic doors, and theirwalls were straightened. In 1961 the solo cars were partially scrapped, partially soldto Szeged and Debrecen. 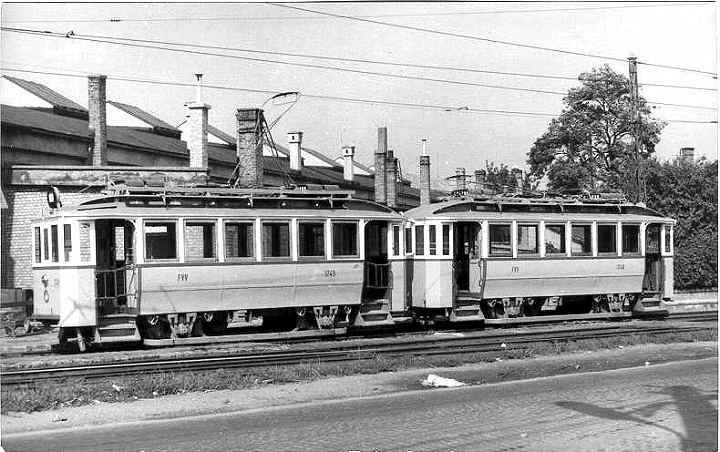 Twin car on the line 9 at Móricz Zs. 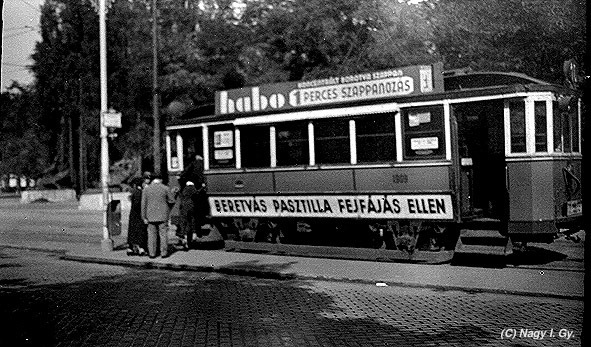 körtér terminus (in 1957). 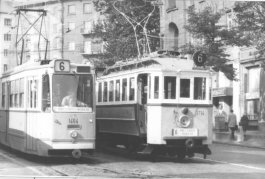 From 1950 they started to form twin cars, because there were moretermini without a loop. These cars were renumbered to 1700 series. 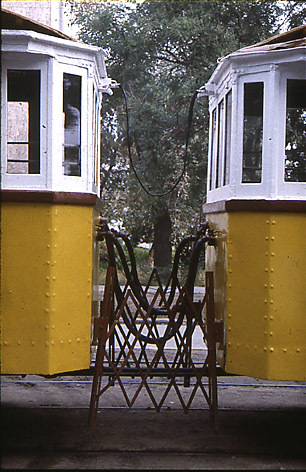 The coupling between the cars # 1714+1715. The cars couldn't beseparated, the cables and pipes were fix. The basic idea of the twin units is to use two cars: removingon motor and controller from each, so the electric circuits remained ason a solo car. 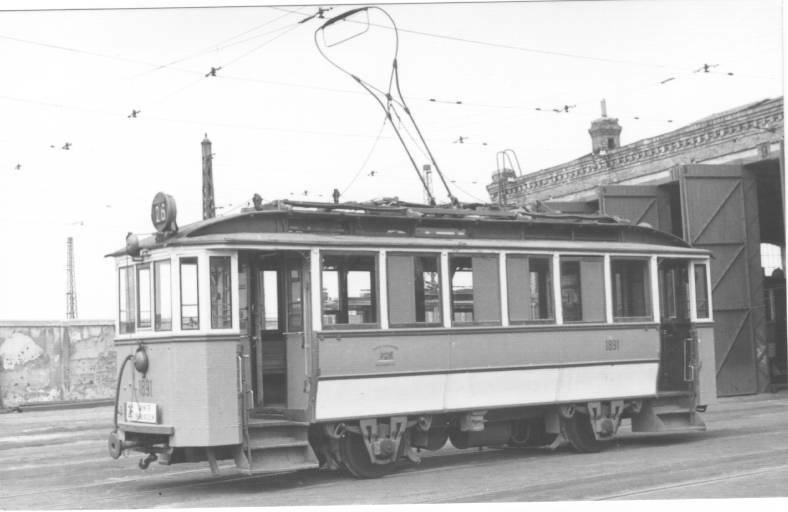 A peculiarity of the early version of 1700 series was thaton the twin unit remained four motors since their original motor was weak.Later they installed more powerful motors, in this outfit there was onlyone motor on each car. 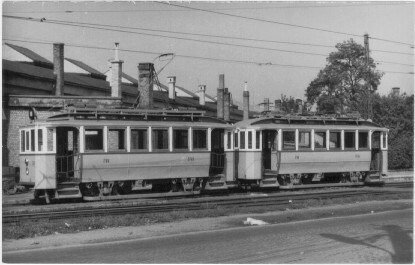 A twin car # 1748+1749 in front of Budafok depot, after rebuldingwith two motors (in the end of '50s). In Hungária depot. These are the last twin cars made in 1956. A hold-up in Újpest on the lines 10 and 55 near their temporaryterminus (in 1974). 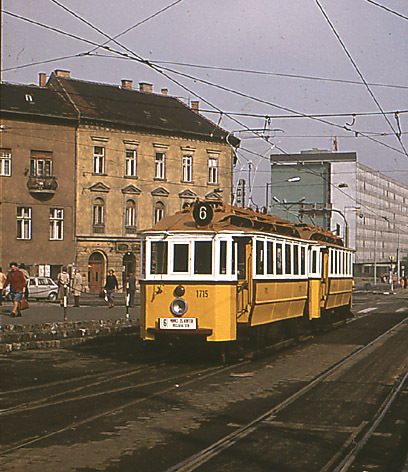 At Moszkva tér the car 1714+1715 as a special car in 1982. This twin car was left after scrapping. 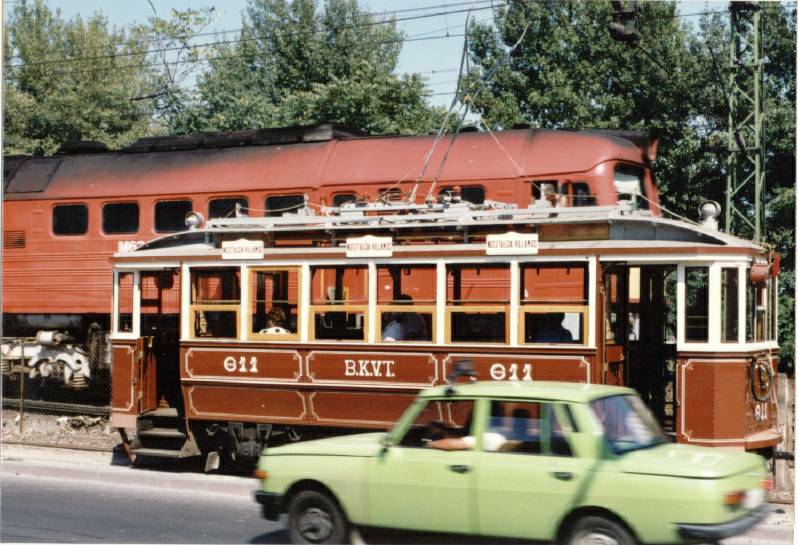 In 1987 the 1715 was rebuilt toits original shape as BKVT # 611, and runs as a special tram of BKV. 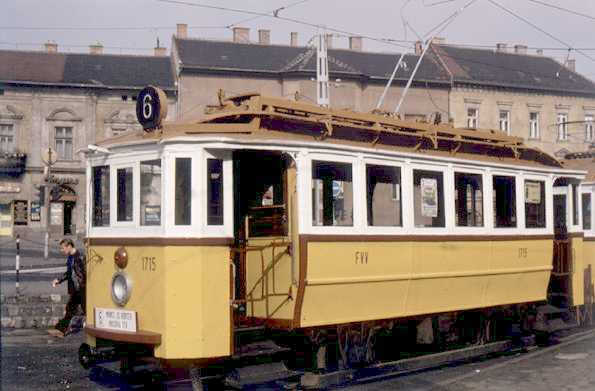 The1714 is waiting its restoring: it is planned to build it to BSzKRt tramcar. On Karinthy Frigyes út, near Móricz Zs. körtér. 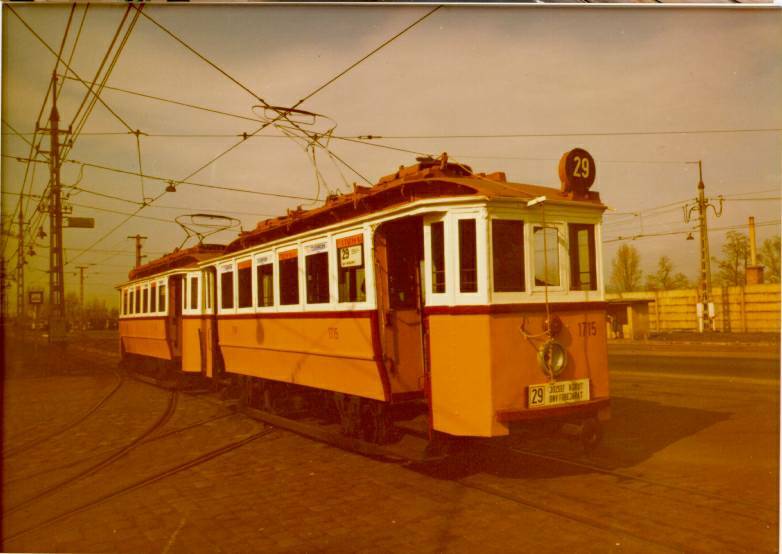 On Könyves Kálmán körút, at Ferencváros depot. 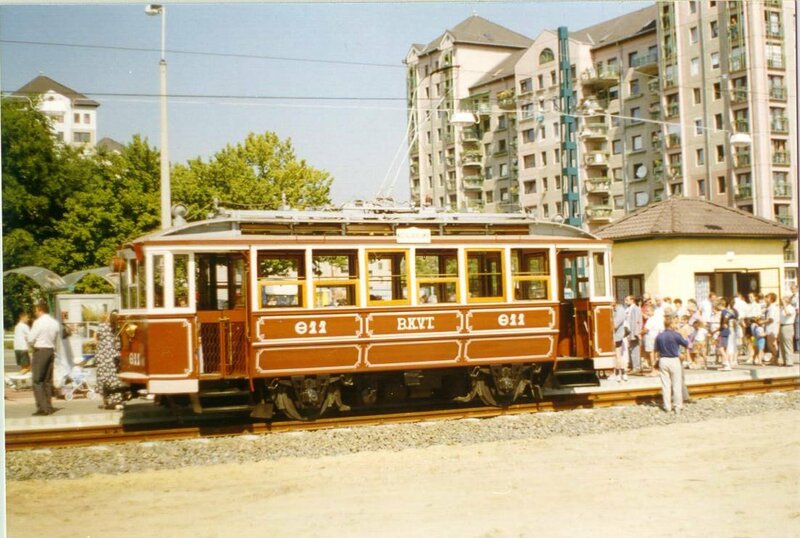 A special tram # 611 on Nagytétényi út around 1993 - today this section is abandoned. 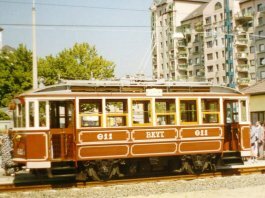 Káposztásmegyer, the opening of the new section of tramline 14 in1998. Pictures: Székács András, Nagy Dénes Lajos, Nagy István György,Szabó András, Szigeti Dániel and others.